to fly over the Centopian skies with Mo and visit the Glowworm Cave. 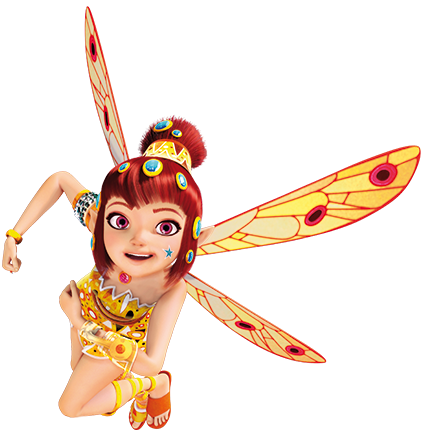 And Mia’s fancy dress – where’d she get that from? when Pan Phuddle won’t stop yapping! to win against Mo in our waterglare competition! For sure you know Mia. She’s like a sister to me – except, she’s totally bad at flying. I still have a lot to teach her. And Mo, we go way back since we were kids. A day without a smile (and shooting waterglares) is a lost day!